Welcome to Day 1 of my #100DaysofBulletJournalIdeas project! Whoever originally came up with this in their Bullet Journal and shared it with the world is a mystery, but I wanted to give this mysterious person credit because they are awesome for sharing something that has given so many of us Bullet Journalists so much joy! This can be called a Cover Page or a Title Page, it's up to you. 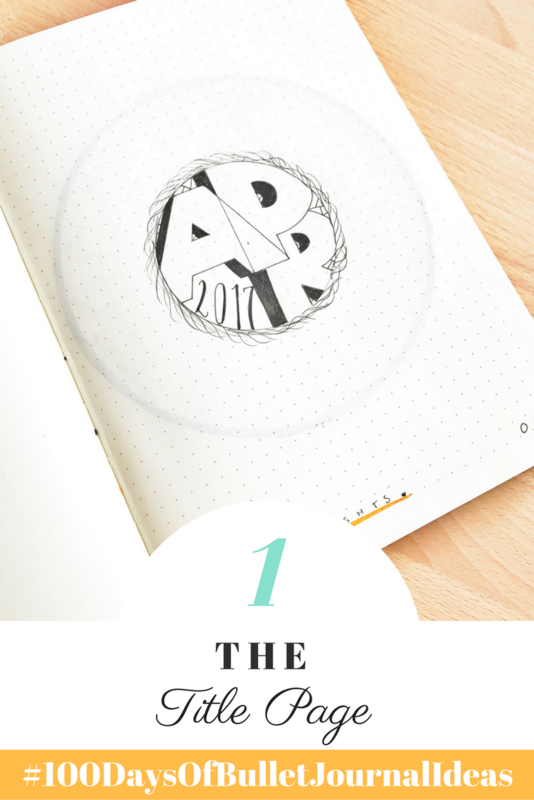 Add a Title Page to Your Bullet Journal. Combine it with a Highlights page to see the big events of the month at a glance. Do you use a cover page in your Bullet Journal?